The FIA World Rallycross Championship will feature on this week's episode of Top Gear, with James May facing off against some familiar WRX names. The FIA World Rallycross Championship is to feature on this week’s episode of BBC2’s Top Gear Programme. In the programme itself, presenter James May takes on some of WorldRX’s best at the Lydden Hill circuit in Kent, the Spiritual home of Rallycross. The shows other presenters, Jeremy Clarkson and Richard Hammond, act as spotters for May. Racing alongside James May are Top Gear USA presenter Tanner Foust, 2014 World Rallycross Champion Petter Solberg and 2014 Lydden Hill WorldRX victor Andreas Bakkerud. During a live Top Gear preview show held in January, the trailer for the current series includes several other Rallycross Supercars taking part including a Peugeot-Hansen Peugeot 208 WRX, a Proctor Motorsport Ford Fiesta, two VW-Marklund Mk5 Polo‘s and a Citroen DS3. 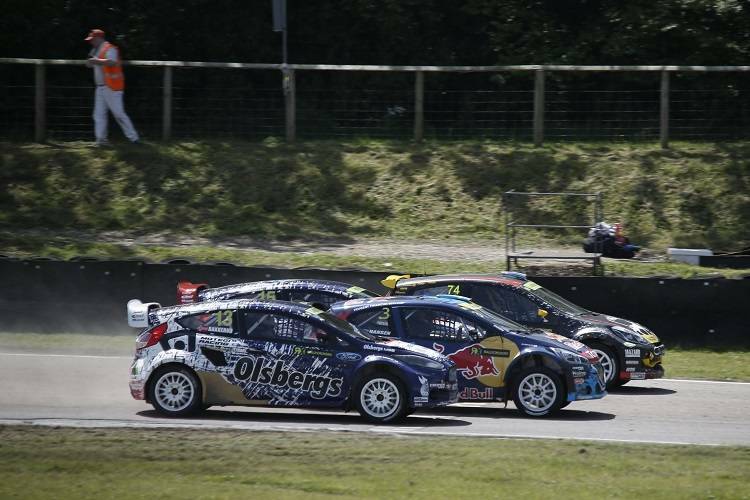 The 2015 FIA World Rallycross Championship begins at Montalegre in Portugal on 24-26 April.